This summer, my friend and old school chum, Pat Harrison, came up for his annual fishing trip. On the first day, folks were catching fish on a large Chironomid and corky. Pat had always wanted to try fishing with a corky so that evening we stopped at Wholesale Sports and he bought some corkys and a couple of fly patterns similar to the ones we had been shown. These flies were large, had a bead head and were thinly wrapped with various colors of shiny tinsel. I sorta chuckled at Pat’s purchase because these flies didn’t look like any Chironomid I had ever seen and were longer than all but the biggest Chironomids. However, the next day Pat caught fish with these flies and corky as long as there wasn’t any retrieve. The fly had to be perfectly still without even a wind drift. Meanwhile my buggy and good looking Chironomids (and other flies) were totally rejected. We kept a couple of these fish and their stomachs were totally empty. 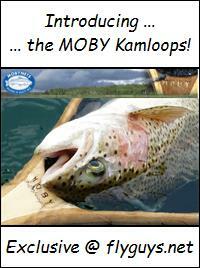 Theory One – These trout are stocked fish. In the hatchery, they are fed pellets. Perhaps the trout identified the bead head as a pellet and ignored the rest of the fly. That would explain why they didn’t want the fly to be moved. Theory Two – Trout are attracted to unusual contrast or movement in there environment and will instinctively strike at that. Perhaps the fish weren’t feeding but the shiny tinsel set off this instinctive reaction in the fish. But that doesn’t explain why they wanted the fly still rather than moving. Theory Three – (and the one I prefer) – There just isn’t any logical reasoning behind what fish feed on or why they feed the way they do. 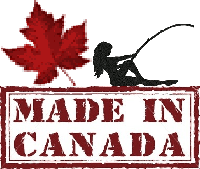 Ron Newman is a long time member of the Kamloops Fly Fishers Association and has spent the last 30 plus years fly fishing the Kamloops British Columbia area still water lakes for trophy rainbow trout. During this time Ron has accumulated a vast amount of knowledge on the subject which he has complied in his book, Rainbow Trout Fly Fishing : A Guide for Still Waters. Whether you are just a beginner fly fisher, or experienced and looking to hone some advanced stillwater fly fishing skills, we highly recommend that you pick up Ron’s book! A big thank you to Ron for allowing us to share some of that knowledge with everyone here at flyguys.net! 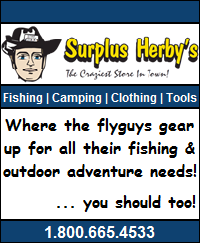 *** for more still water fly fishing strategies please hit up & review our still water fly fishing category here! 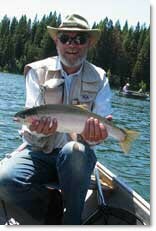 Ron Newman is a long time member of the Kamloops Fly Fishers Association and has spent the last 30 plus years fly fishing the Kamloops British Columbia area still water lakes for trophy rainbow trout. This entry was posted in Still Water Fly Fishing and tagged Fish Feeding Habits, Fishing Tips, Fly Fishing Strategies, Ron Newman. Bookmark the permalink. Theory 3 seems most likely to me!